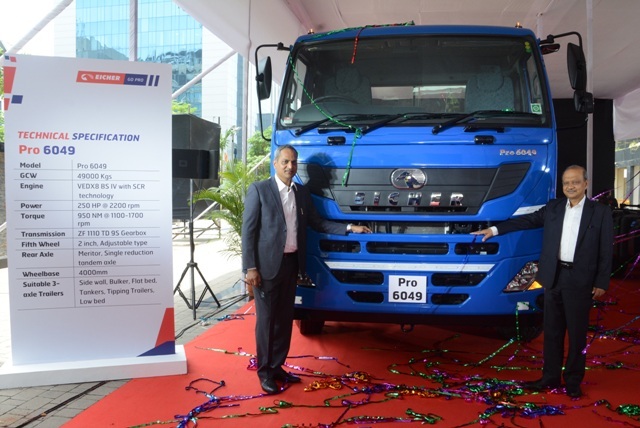 VE Commercial Vehicles (A Volvo Group and Eicher Motors joint venture) recorded sales of 6390 units in June 2018 as compared to 3921 units in June 2017, recording a growth of 63%. This includes 6315 units of Eicher brand and 75 units of Volvo brand. Eicher branded trucks & buses have recorded sales of 6315 units in June 2018 (YTD 16129 units) as compared to 3885 units in June 2017 (LYTD 11501 units), representing a growth of 62.5%. In the domestic CV market, Eicher branded trucks & buses have recorded sales of 5496 units June 2018 (YTD 14154 units) as compared to 3382 units in June 2017 (LYTD 9913 units) representing a growth of 62.5%. On the Exports front, Eicher branded trucks & buses have recorded sales of 819 units in June 2018 (YTD 1975 units) as compared to 503 units in June 2017 (LYTD 1588 units), representing a growth of 62.8%. Volvo Trucks has recorded sales of 75 units in June 2018 (YTD 198 units) as compared to 36 units in June 2017 (LYTD 82 units), representing a growth of over 108%.